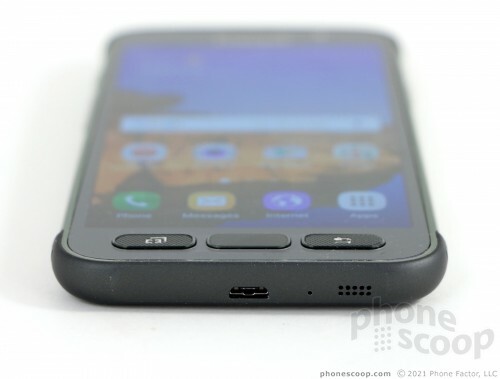 I like the Samsung Galaxy S7 Active a lot — at least as far as the hardware is concerned. If you need something sturdier than your average glass phone, but still want the raw performance of today's best flagship, the S7 Active has everything you need. The phone is tough but still easy to carry around and use; it's waterproof without annoying hatches/ports; the screen is absolutely top-notch; and the larger battery should satisfy even the most power-hungry users. Voice and data performance are quite good, Qualcomm's Snapdragon 820 is blazing fast, and the camera is one of the best available. I still dislike Samsung's interface a bit, but Samsung gave the S7 Active an incredible array of tools for personalization. The S7 Active's home screen is a willing canvas upon which you can design the interface of your dreams. AT&T's intrusive bloatware nearly ruins the experience for me. Apps that push ads to notification shade are a major no-no. Sadly, the S7 Active is an AT&T exclusive (Samsung is not yet selling an unlocked version), which means you have no choice but to deal with the AT&T garbage if you buy this phone. The Galaxy S7 Active is a pricey phone at $795, but if its semi-ruggedization saves you from replacing the phone just once you'll have made back your money. Also consider the cost of the rugged case and extra battery pack you won't need to buy. If you want the best balance of tough hardware and mobile computing, look no further than the Galaxy S7 Active from Samsung. Samsung is back with another semi-rugged variant of its flagship smartphone. The Galaxy S7 Active is tougher than the standard S7, but offers most of the same specs and features.